A good estate planning attorney should provide advice and documentation to ensure a comprehensive plan for the future. The Hawkins Law Team handles large and small estate administrations, estate litigation, incapacity planning and all probate issues that impact the lives of our clients. As a Go-To Firm for business, corporate and transactional law, we position your business for success. We provide tough and aggressive representation when representing the interests of our clients. Welcome to The Hawkins Law Firm. Our firm assists individuals, families and businesses in eight key areas. By focusing on family law, estate planning, probate law, business law, criminal law, litigation, mediation and appellate advocacy, our firm is able to provide excellent legal services to a broad range of clients. Our focused approach eliminates the outdated practice model of trying to be all things to all people. Instead, we strive to be your guide through complex issues and problems in areas that matter most to you. 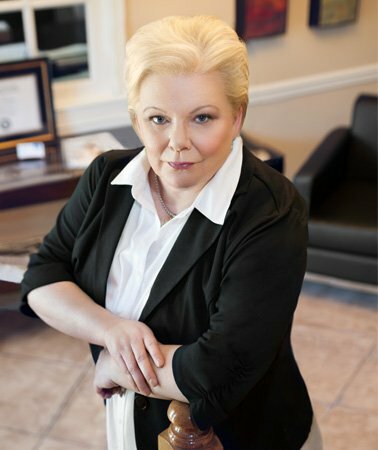 Lana Hawkins, the firm’s founder and senior partner, was recognized as a Top 10 Best Attorney for Client Satisfaction by The American Institute of Family Law Attorneys in 2015. She was also recognized as a Top 100 Family Lawyer by ASLA in 2014 and by The National Advocates in 2015. The American Academy of Trial Attorneys named Ms. Hawkins as a Top 100 Trial Attorney in the state of Alabama in 2015. Ms. Hawkins works with a team of attorneys, law clerks, paralegals and administrative staff to ensure that the firm’s work is produced with clarity and efficiency at every stage of representation. The firm’s three offices are located in Guntersville, AL, Huntsville, AL and Arab, AL. The firm represents clients throughout Marshall and surrounding counties, including DeKalb, Etowah, Jackson, Madison, Morgan, Cullman, Limestone and Blount. We are here to help individuals and families in divorce and modification matters, custody and child support issues, paternity adjudications, dependency cases, adoption, domestic violence and other criminal law matters. We also assist our clients with estate planning matters, ranging from wills and trusts to health care directives, powers of attorney and incapacity planning. Our probate law practice includes estate administration, conservatorships, guardianships, will contests and estate litigation. For entrepreneurs and business people who need assistance in business and corporate law matters, the firm offers a wealth of experience. The firm’s litigation, mediation and appellate advocacy practices complement its key areas and also include most civil proceedings. The Hawkins Law Team is committed to serving the firm’s clients with excellence and enthusiasm. Our practice model has proved successful through years of hard work and client satisfaction. In today’s rapidly changing world, the law has become complex and confusing to navigate. Let us be your guide when you are faced with issues that require legal representation and advice. We look forward to meeting you and assisting you with your legal needs. When our work touches your life, we want the results to make a difference! How long does a divorce take to be finalized? What type of business entity should I form? What is the procedure for litigation? What is the procedure for appealing a case?